The Committee to Elect Jeff Gahler is pleased to announce that Sheriff Jeffrey R. Gahler has received the endorsement of the Metropolitan Baltimore Council of the AFL – CIO to serve a second term as the Sheriff of Harford County. The endorsement was announced by the organization Monday on its Facebook page. 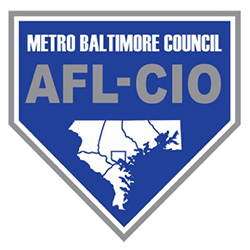 The Metropolitan Baltimore Council of the AFL – CIO is one of nearly 500 state and local labor councils of the AFL-CIO. The organization is dedicated to representing the interests of working people at the state and local level and advocates for social and economic justice in order to make local communities better for all people—regardless of race, color, gender, religion, age, sexual orientation, or ethnic or national origin. Sheriff Gahler takes pride in the exceptional working relationship between his administration and the members of the employee groups from law enforcement and corrections. In comments on an earlier endorsement from the Harford County Deputy Sheriff’s Union, Sheriff Gahler praised the open and productive working relationship between the Office of the Sheriff and the Deputy Sheriff’s Union, noting collective accomplishments such as collective bargaining and the restoration of a fair and equitable salary plan for employees.